When it comes to a strong smile, most people primarily concern themselves with the appearance and health of their teeth. However, healthy gums are equally important to good oral hygiene. Regular care for one's gums, both at home and professionally, is vital to preserving one's smile, and if restorative treatment is needed, it should be taken just as seriously as any other dental problem. At our El Paso practice, the health of your gums is our primary concern. Whether through preventative care or a number of periodontal treatments, we want your gums to be a positive influence on your smile and overall health. Take a moment to learn the benefits of our treatment options and how they can help you achieve great long-term oral health. By far, the number one threat to a patient's gums is gum disease. In its early stages, gum disease is seen a gingivitis, in which the gums become inflamed. Common symptoms include reddened gums, swollen gums, bad breath, sensitive gums, gums that are prone to bleeding, and a receding gum line. If gingivitis is not controlled or minimized, it can lead to pockets of infection beneath the gums, putting the roots of teeth at risk of infection and forcing the gums to pull away from teeth. If infection spreads to nearby bone tissue, gingivitis turns into periodontitis - an infection of the bone. At this point, continued infection leads to bone loss, loosening teeth, and eventual tooth loss. Clearly, gum disease should be spotted and treated as soon as possible, giving professional periodontists a significant role to play in one's oral health. The best way to avoid gum disease is a two-fold approach: patients must maintain good oral hygiene habits at home, and they must seek professional treatment if gum disease persists or spreads. For mild to moderate cases of infection, patients may benefit from a deep cleaning, also called scaling and root planing. This non-surgical treatment involves the cleaning of plaque and bacteria from beneath the gum line, followed by the use of a planing tool to smooth the surface of each tooth's roots. This prevents infection from spreading into teeth and bone, and minimizes the likelihood of future bacteria accumulation. Even if a deep cleaning is not needed, any indication of gum disease is a good reason to see your periodontist. By examining your gums, Dr. Gopin can determine the severity of disease and what measures may be taken to curb it. Recommendations can be made for your at-home hygiene routine, and if necessary, follow-up appointments can be scheduled to keep track of your gums' health. Dental implants: Lost teeth can be effectively replaced through dental implants, which are installed directly into the gum and bone, just like a tooth's natural roots. Once installed, implants can support individual restorations such as dental crowns, or more comprehensive restorations such as bridges and even full dentures. Soft tissue grafts: Gum recession is a common problem for patients suffering from gum disease or other dental complications. If your gums have noticeably pulled away from teeth, giving them a longer and more uneven appearance, a soft tissue graft can help you achieve a full, healthy smile once more. Bone grafts: Bone loss is often a problem for patients suffering from long-term tooth loss or advanced gum disease. With a bone graft, we can reinforce your jaw with natural bone tissue or a comparable synthetic compound, giving you a stronger bite and providing ample support for one or more dental implants. Gum contouring: Patients who have a “gummy smile” no longer need to be embarrassed by the impact of their high gum line. Gums can be permanently contoured through a simple and safe procedure, creating a more even smile and lengthening the appearance of teeth. Whether your needs are restorative or purely cosmetic, our office will gladly assist you with any of your periodontal needs. For a more comprehensive list of our treatment options, speak with one of our periodontal professionals today. Your gums deserve just as much attention and care as your teeth. 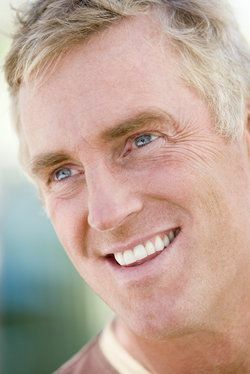 With the right treatment, your smile can be preserved for many years to come. Contact our office to learn more about our periodontal treatment options and services.